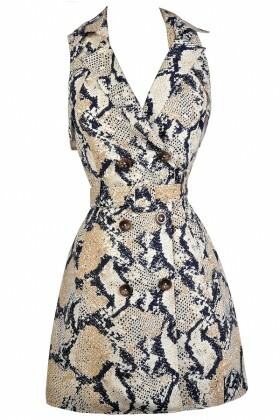 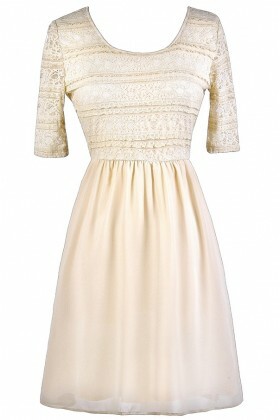 Finding the perfect beige or cream dresses is easy at Lily Boutique! 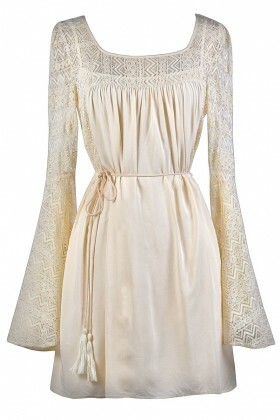 We have so many cute cream and beige dresses to create that laid-back neutral summer boho look that is perfect for any concert or festival. 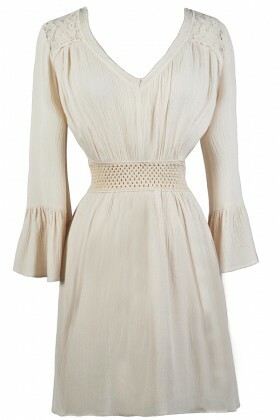 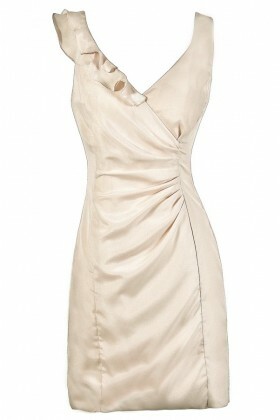 Beige and cream are also great options to wear to a rehearsal dinner or bridal shower in lieu of white or ivory. 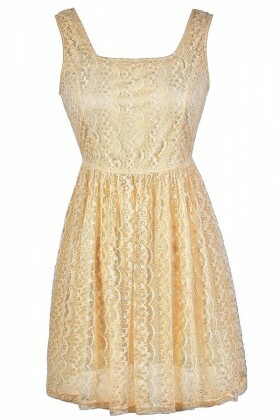 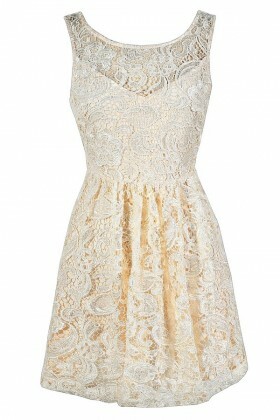 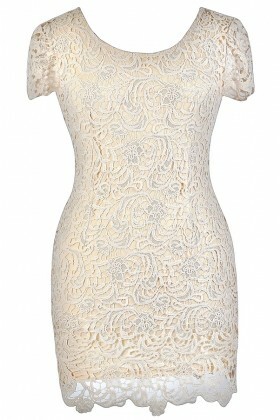 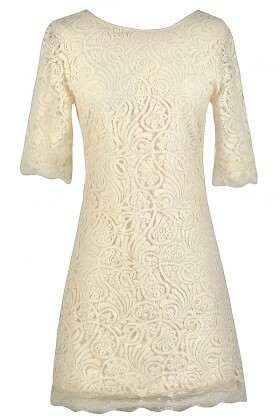 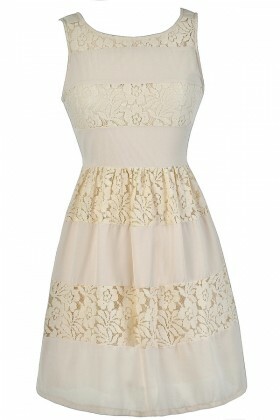 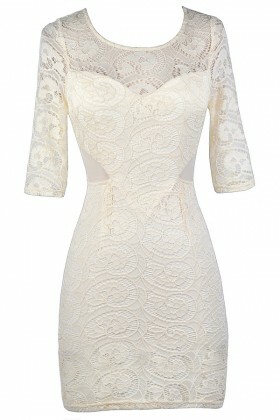 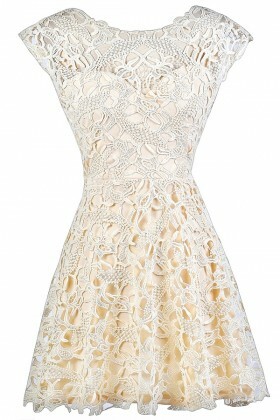 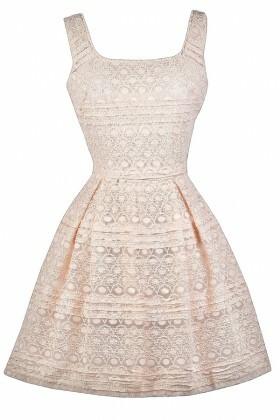 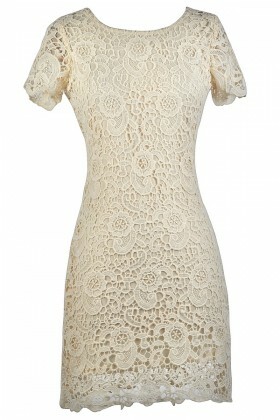 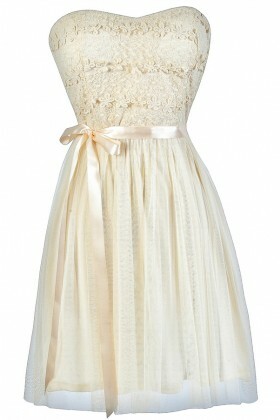 Find a cute beige lace dress to pair with wedges or pumps for your next party or event! 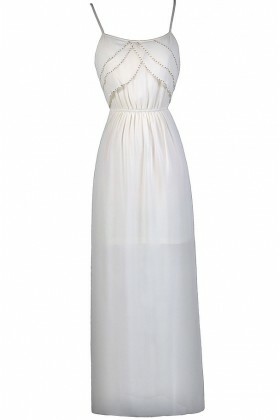 So many of these cream and beige party dresses and maxis look adorable dressed down with beaded sandals to create that hippie chic style everyone loves. 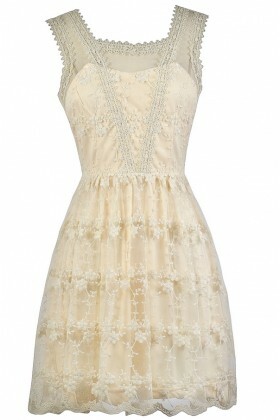 Heading to a country concert or spending a weekend in Nashville? 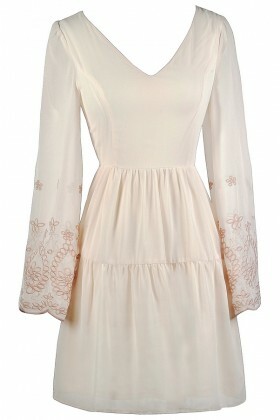 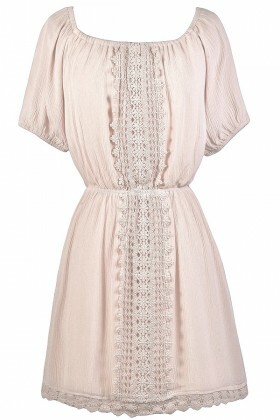 Try pairing one of these laid-back flowy beige dresses with cowboy boots for a cute country look! 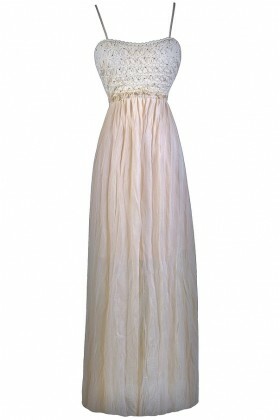 We've got everything from casual cream summer sundresses to long beige maxi dresses you could wear to a black tie wedding or formal event. 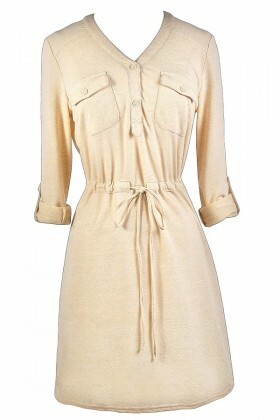 Beige and cream are the perfect neutral colors to add to your wardrobe for a laid-back earthy look. 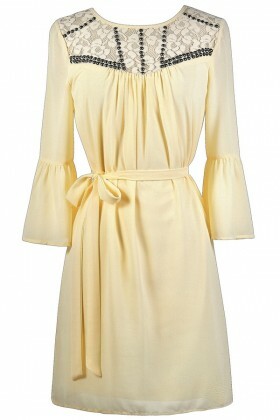 At these affordable prices, you'll want to buy several dresses and get FREE shipping over $75 within the USA!